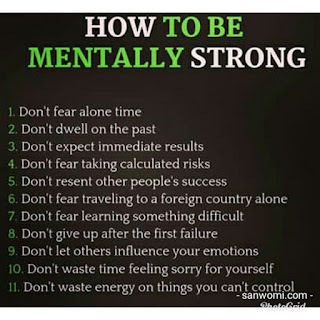 Home / Unlabelled / How To Be Mentally Strong. 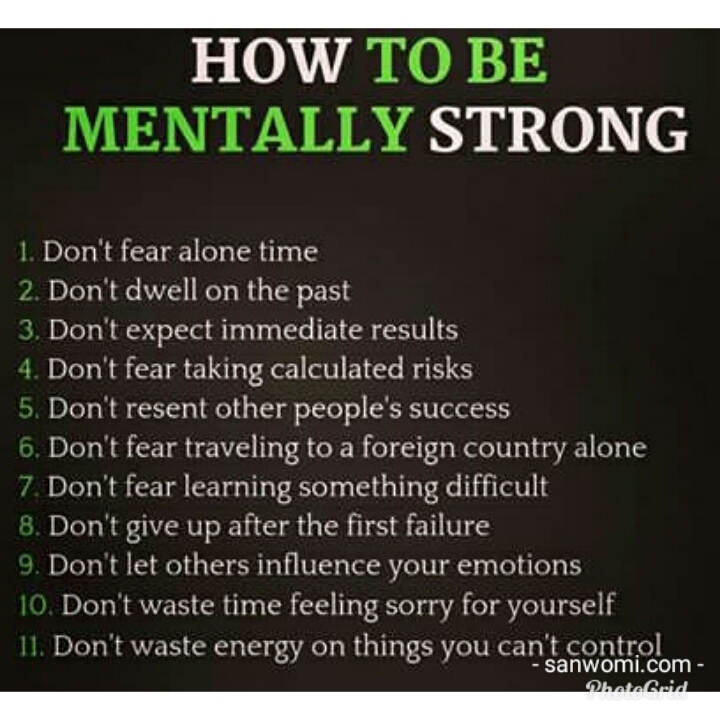 How To Be Mentally Strong. 2 Don't dwell on the past. 3 Don't expect immediate results. 4 Don't fear taking calculated risk. 5 Don't resent other people's success. 6 Don't fear travelling to a foreign country alone. 7 Don't fear learning something difficult. 8 Don't give up after the first failure. 9 Don't let others influence your emotions? 10 Don't waste time feeling sirry for yourself. 11 Don't waste energy on things you can't control.